Vena vAllure is designed using high-quality polycarbonate (PC) frame with metallic finishing to provide the exclusive premium look. The unique textured design on the side adds extra grip to your Galaxy S8. The slim dual-layer design of Vena vAllure features polycarbonate (PC) frame and thermoplastic polyurethane (TPU) core, providing your phone mild to moderate drop and scratch protection, perfect for everyday use. The high-quality shock absorbent thermoplastic polyurethane (TPU) does not stretch out over time. With CornerGuard TM technology and unique pattern, Vena vAllure protects your Galaxy S8 and disperses the force from shock and impact through the TPU case. This Galaxy S8 case is designed with precision cut-outs to suit the Galaxy S8 and provides effortless access to all ports, buttons, and features. The beveled power and volume buttons are crafted to maintain the same great tactile feedback from your phone's buttons. vAllure is exclusively designed, and an extremely well thought-out case that is born from a collaboration effort from our highly experienced and professional teams in U.S. and South Korea. 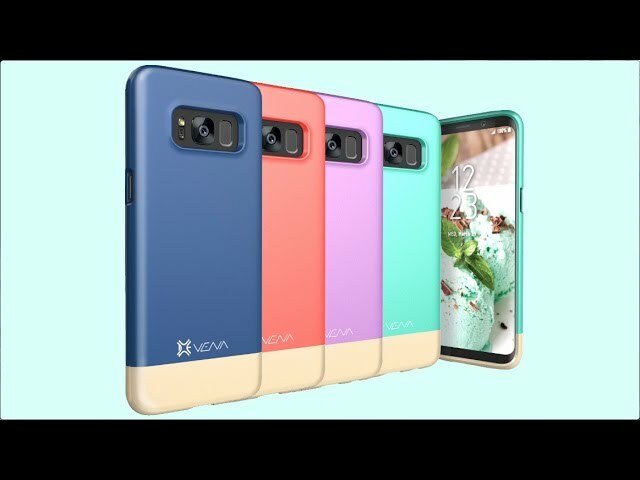 This is my first time buying from this company and I have to be honest VENA PRODUCTS ARE AMAZING the durability, straight, uniqueness of their products are amazing they're beautiful, colorful they're just different and I'm so happy I found this COMPANY I am a Android accessory fanatic and now I am in love with VENA PRODUCTS. KEEP UP THE BEAUTIFUL WORK AND MY FAVORITE THING ABOUT YOU GUYS IS YOUR UNIQUENESS OF THE PRODUCT SO THANK YOU AND GOD BLESS YOU.